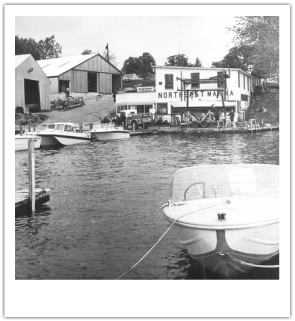 The Wolfeboro Corinthian Yacht Club is located on the site of the former commercial marina known as the Northeast Sail and Motor Facility, Inc. In 1982 the owner of the marina decided to sell the property, but instead of just selling it to another commercial enterprise, he envisioned the creation of a “yacht club”—a facility where the membership would also be the owners. The vision became reality when a small group of founders organized and launched the Club in the later part of 1982. Forty members initially joined and membership grew to over a hundred in the coming the years. The Club was and continues to be governed by members who volunteer to serve on the Board of Governors. Since its founding the WCYC has made continual improvements to the grounds, docks and facility to enhance the enjoyment of its members.